Pool inspections are unnecessary because my home inspector inspects the pool. So I don't have to worry about anything...right? I wouldn't depend on a home inspector to know the intimate details of a swimming pool and it's functions just as I wouldn't know everything to look for during a vehicle inspection. For the most part, home inspectors just flick the timer on and if it turns on, the pool gets a green check mark. There is so much more to it than that. There's surface cracks, pool leaks, lights not working, cracked decking, code issues, botched equipment and the list goes on and on. Pool inspections should have just as much detail paid to it as your home does. Some pools can be as expensive has a smaller house. The question is... do you want to take your chance and "hope" your pool is going to behave? Do you really want to inherit a problem? It would be a much better bet to have your pool inspected by a professional pool inspection company. You'll want to make sure they are nationally certified with the National Swimming Pool Foundation (NSPF), and being a State Licensed Pool & Spa Contractor is also a great credential. Being a contractor means they should pay attention to code issues during the pool inspections which adds incredible value to your inspection. 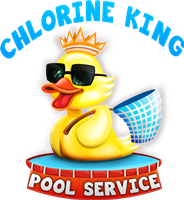 Here are some things I've found during Chlorine King pool inspections. A) A buyers home pool had the light pulled out by the vacuum cleaner. This obviously needs to be fixed by the seller, and could be a safety issue. B) This pool had a non VGBA compliant cover. This should be changed out in order to make the pool safe. C) This home had several things wrong with just this one picture. 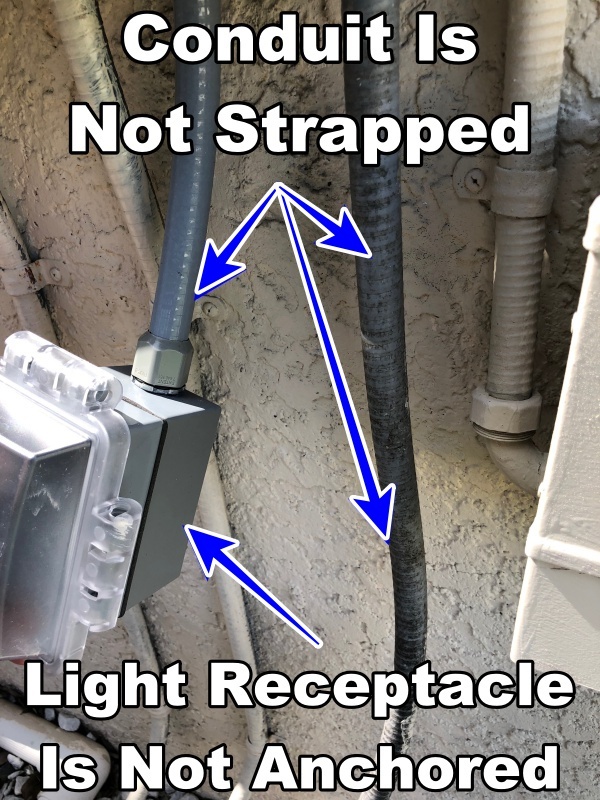 The conduit is not strapped down, the receptacle is not secured to the wall and the lock ring on the connector is on the outside and voiding water protection. For the people wanting to learn some tips about pool inspections I made a short video explaining some things to look for. If you need your pool inspected please don't hesitate to contact us and set something up. We'll be happy to ensure that your purchase is a safe bet. Our reports are very detailed (often 20-60 pages) along with pictures like you see above. We also have the ability to quantify if your pool is losing water through our water loss verification process. Leaks are one of the most costly repairs that can be done on your pool. Know before you close!